One of the most favorite things for kids (and adults)to bake are cookies. They are delicious, easy and can be frozen for school lunches or snacks. 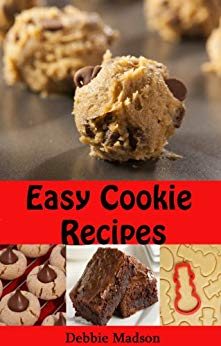 This cookbook has a collection of some of our favorite recipes including:CookiesBarsBrowniesFor a total of over 30 yummy recipes. **** Please note: Our paperback version has no pictures included within the book to keep the cost of the cookbook below $10.